I apologize for the late notice, but due to the fires and sickness, the post season meeting scheduled for Tuesday, Nov. 13th has been postponed until after Thanksgiving. Once a new date has been set, an email will be sent out. 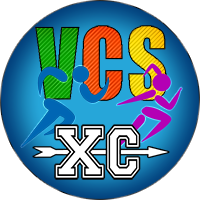 VCSXC Championship t-shirts and hoodies will be available this Friday!!!! They will be located at the Mile26 tent. T-shirts will be $10 and Hoodies will be $20. Limited quantities! As a reminder, in order to race in the championship race on Nov. 2nd, athletes need to have completed at least 4 regular season meets prior. The predict-a-time fundraiser and Mt SAC count towards the 4 meets.